Work for Credible Behavioral Health Software? Learning about Credible Behavioral Health Software? Everything that you need is on the left tab to be able to preform any services you need to. At times, the actual site will crash and log you out unexpectedly. I would recommend using it. It is a little hard to learn at first but then it becomes much easier as you continued to use it. Credible help solve the Electronic Health Records issue. It is a streamlined approach to you being able to provide services to your clients. "Easy to use and logical behavioral health record system"
The website is easy to navigate. Makes finding clients and viewing their charts quick and effective. Editing charts is intuitive and speed of the server is almost always fast. There is a lot of information crammed onto one web page on particular portions of the system. There seems to be a lot of outages that occur 1-2 times per week that slow down workflow. Be patient as there is a learning curve to using the system. Once learned, however, the system is easy to use and effective. Managing the charts of a large number of behavioral health clients. Makes organizing the charts of these clients easy. Provides access to a large amount of information on the clients that makes treatment more effective. I like the interface best. The easy to navigate home screen allows it to be easy when scheduling client's appointments. All you have to do is double-click the part of the schedule you are putting an appointment in and type the client information. I dislike the Tx-Plus option. It becomes difficult to write treatment plans for clients on this software and I wish that there was a better way to write treatment plans. I have seen problems with workers accessing information of clients that they do not have. However, there are also benefits because you can assign clients to groups so that multiple case managers can see their information. 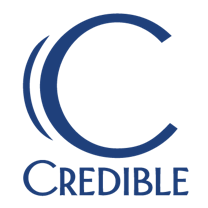 "Great functionality, outages are a problem"
Credible is a go-to platform for secure health records. Its flexibility in allowing you to develop forms, limit access to only appropriate users, review deadline compliance, and maintain up to date records is fantastic. There are periodic outages which result in being unable to access the system. This leads to the inability to file new records or to access an individual's records, which can be dangerous and is always frustrating. In addition, Credible can be quite pricey for smaller agencies. I had a very positive experience working with it at a large health care provider. Once I moved to a smaller business I tried to convince them of the benefits of using Credible, but the price placed it out of range. It is a bit pricey for smaller agencies. HIPAA compliant software allows users across a variety of settings and in the community to maintain records in a secure and timely manner. This program is almost an all in one. It offers a range of tools including inner office email aside from office style programs. This program also offers training resources via a separate log-in although that is also frequently unused. The downside to this program is that it seems some individuals struggle with it's use. There are a lot of unused features at our facility and the program can be intimidating because employees do not want to explore and risk behavioral and medical records for consumers. With the use of Credible we are able to offer consumer file access across offices. For example medical fields can update medication while counselors can input weekly reviews and other records. This program allows the meeting of minds and specialty fields. "No problems - pretty user friendly. " I like how it keeps important information such as summaries of incidents/communication logs, and is all easily accessible. It is somewhat overcrowded and could be more user friendly. Learn it well and play around with it or seek some training on how to use it. It helps us with record keeping and allows multiple people serving the same clients to have access to information. "Lots of functionality and customization"
Easy to use and train staff. Ability to build forms and reports. This used to be one of my biggest dislikes, performance issues and app slowness. In the 4+ years I have been working with the software, there have been many improvements in this area on Credible's end. Outages are fewer and farther between now. Saving paper by having everything electronic. Easier to manage client records. "didn't work, poor service, horrible design and paperwork"
"It has been a little time getting the bugs worked out"
It’s a great way to keep medical records right at your finger tips, literally. When we need to tweet the program or need help with problems, it takes awhile to get an answer from the company.. I would recommend it to others however have never tried another software. Credible is a quick platform that doesn’t usually slow down or crash. I have used other EHRs that have gone down several times. It is not easy to navigate. The information is on several different pages and you can’t access it simultaneously. I am able to copy and paste information from one page to another. "Everything in one place "
I liked the ability to do everything related to clients in one program. It is a great tool for documenting sessions and to review past behaviors and track progress. . Credible is user friendly anyone can figure it out. System goes down often and takes a long time to get back up. The system goes down a lot during this time I cannot view my clients info or document. Very simple and straightforward to use. Love that you can fax straight from it. The scheduled maintenance often happens during my shift which can cause some significant problems with efficiency. Everything was customized in the beginning so I no longer have to copy and paste assessment questions before each assessment as I did before credible. That it doesn’t auto save, that is a pain. Having a list of medications to filter through and select rather than having to type them all out has been beneficial. Being able to just select more rather than typing out patient responses has saved time. The layout of the product is clean and easy to manage. The inability to bill CHMS to Medicaid website. The time it takes to enter a patient's information and having it there vs paper charts. "Has its ups and downs "
Easy to use. Adaptable to make easy for different agencies and positions. Provides a great way to keep track of billable and nonbillable notes all in one place. Lots of clicking! Constant changes from screen to screen. It could be made to be a bit easier to navigate through without constantly changing the screen. Keeps all notes, profiles, summaries, insurance information and etc all in one place. "Great System for Clinical Services"
Great software for writing services, scheduling client appointments, writing notes, and keeping up with client information. The systems design is slightly outdated and recently has had frequent issues. This is an incredible system for those in mental health system. Streamlines the billing process and keeping up with client information. Keeping up with billing services and creating a more efficient and correct scheduling system. "It's relatively easy to use. " The user interface guides the user along intuitively, until something isn't so apparent. Then it can be difficult to figure out what to do without help from a more experienced user. Try it. There's always OpenSource. Case notes and treatment plans are a bit easier and quicker. That's less time doing paperwork and more direct contact hours with patients. "It was very infomative and interesting"
I like the intergrated information system between the physcial providers seeing the patient to coordinate care and information. I have only reviewed the product but not actually used it on a daily basis. "Difficult to learn at first "
I like that it is online and portable and can be taken anywhere on the go. It is difficult to structure notes and search for clinical hours. It takes time to update language that changes with insurance companies. Amazing software that is easy to navigate and work with. I don’t have any complaints everything credible has is perfect. Paper v. Electronic records. Easier to use and track records via Credibke v. Other softwares didn’t paper records. * We monitor all Credible Behavioral Health Software reviews to prevent fraudulent reviews and keep review quality high. We do not post reviews by company employees or direct competitors. Validated reviews require the user to submit a screenshot of the product containing their user ID, in order to verify a user is an actual user of the product. Hi there! Are you looking to implement a solution like Credible Behavioral Health Software?